Beef knuckle is a versatile cut of meat originating from the round primal cut, which is located in the rear of the animal. An entire beef knuckle weighs 12 to 16 pounds and can be carved into several other cuts, including kabobs and minute steaks. 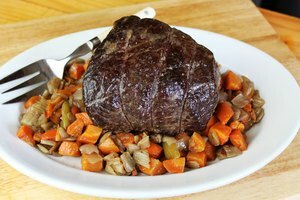 Beef knuckle is also known as beef ball tip roast, sirloin tip roast and French roll roast. In addition to roasts, products from the beef knuckle portion are often used in Beef Stroganoff and stir fry. 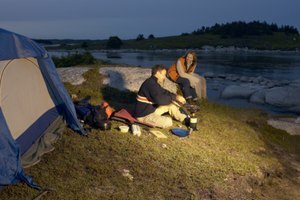 If you've never cooked one before, here are a few easy steps to knock it out of the park. Remove the beef knuckle from the refrigerator. Place it on a sheet tray lined with paper towels and let it reach room temperature. Cooking thick cuts of meat from room temperature ensures the product has a uniform temperature throughout, which contributes to even cooking. Preheat the oven to 325 degrees Fahrenheit. Rinse the roast and thoroughly dry it with paper towels. Dice the vegetables into large cubes of one to one-and-a-half inches. Disperse them evenly across the bottom of the roasting tray. Place the roast on a cutting board. Lightly coat its surface with olive oil and season it liberally with kosher salt and fresh ground black pepper. Heat the saute pan and two tablespoons of olive oil over high heat. When the surface of the oil begins to shimmer, place the roast, presentation side down, into the pan. Sear it on all sides until its surface reaches a caramelized, golden-brown color. Place the beef knuckle into the oven. After 45 minutes, check the meat's internal temperature by inserting a probe thermometer into the thickest portion. 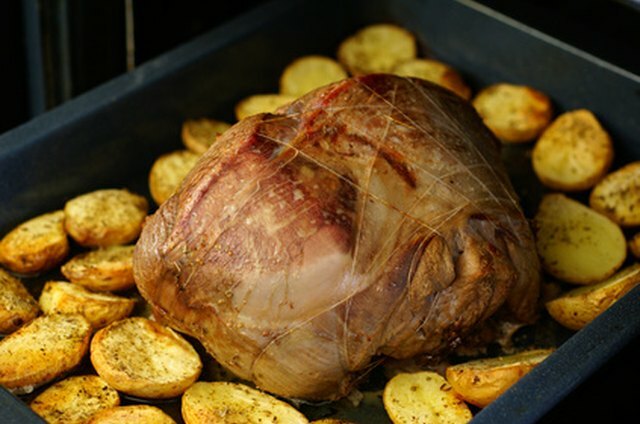 Remove the roast from the oven when its temperature reaches 155 degrees Fahrenheit, then tent it with foil and let it rest for about 20 minutes. Do not pierce or cut the meat while it rests. 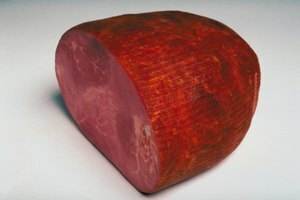 What Is the Difference Between a Beef Roast & Beef Brisket? How Can You Cook a Frozen Pot Roast in a Crock-Pot?